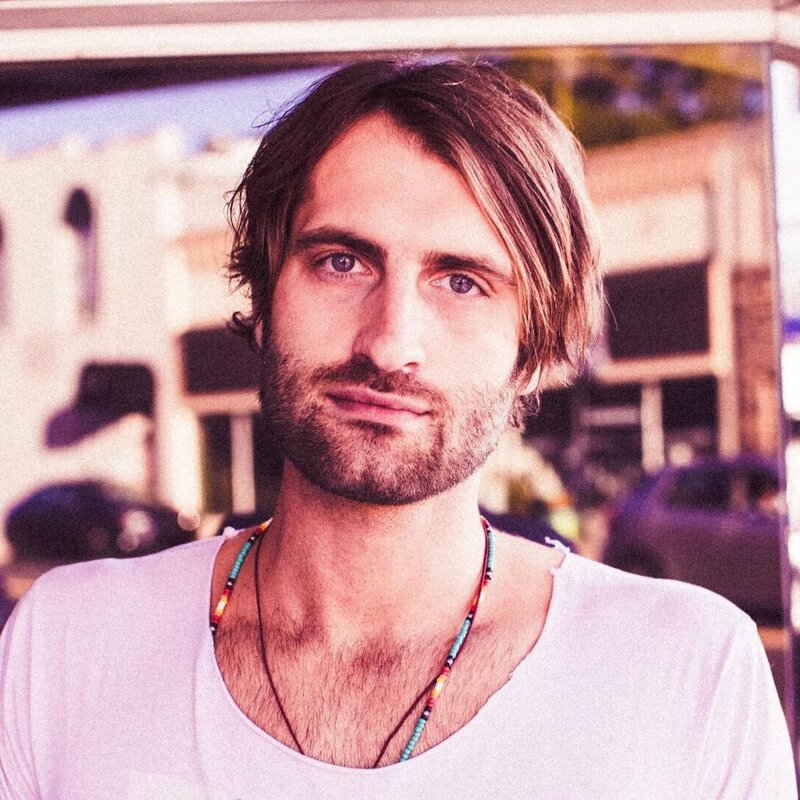 Interview: Chatting to Ryan Hurd about his UK tour with Maren Morris, his EP, why fans bring bread to meet and greets and more…. 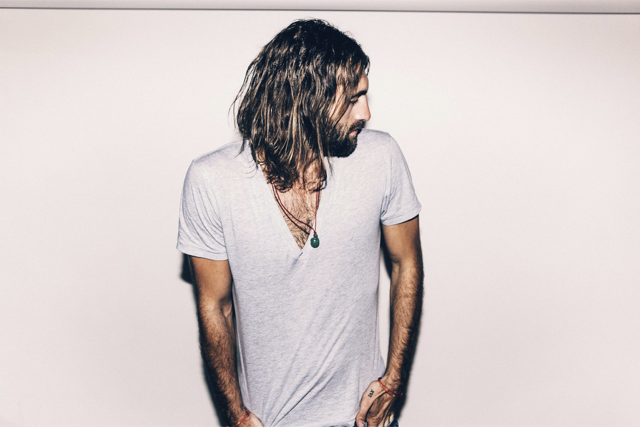 Ryan Hurd is without a doubt an artist to watch. An already established songwriter writing songs for artist such as Lady Antebellum (You Look Good) Tim McGraw ( Last Turn Home) Blake Shelton (Lonely Tonight) and more – Ryan has quite rightly chosen to the direction of becoming an artist is his own right. 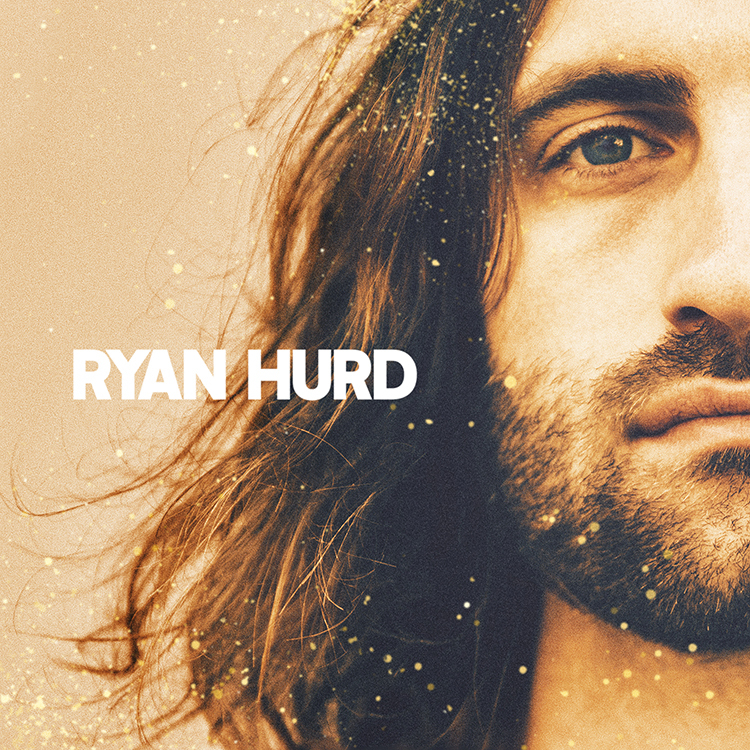 Ryan recently released his debut self titled EP which has gained much success featuring four stand out tracks. His debut single We Do Us has received over 2 million streams on Spotify. 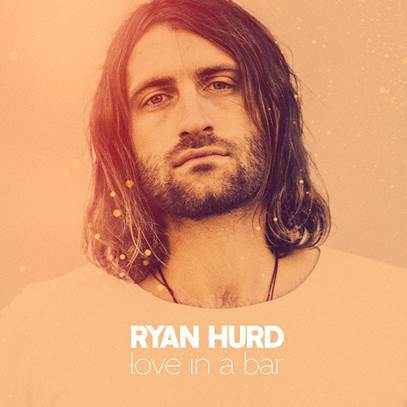 Ryan’s single Love In Bar, said to be inspired by fiancé Maren Morris has fast become a fan favourite and his recently released video for the song features the lovely Maren Morris. Ryan joined Maren Morris on her Hero tour which included the UK and Ireland leg. We caught up with Ryan before their show in Bristol. Ryan is a very welcoming and humble man who is very laid back, generous with his time and very encouraging and grateful. Hi Ryan – how are you? Welcome to the UK; we are so happy that you are here. Is this your first time in the UK, even as a vacation? Yeah, first time ever. It is kind of weird; I have been a lot of places but never to anywhere in Europe, so it has been amazing. How has your trip been so far? You have been to Ireland, Scotland and now here (Bristol). The shows are great; I have really been enjoying the fans and the shows. Everybody says that once you come and play here, you will want to come back – and I have found that to be true. It’s amazing. You know, not a ton. My band is pretty diligent about getting out and seeing everywhere, like today we went out and found the Banksy that is graffiti’d here and they have gone to a lot of different churches and libraries, but I have mostly just hung out with Maren and we have got out a little bit. It has been good to see everything; this is a really cool town, very beautiful and old. Tell us a bit about yourself, because you started as a songwriter and are now an artist. Was that always the goal – to be recording your own songs? Was songwriting just how it happened to start for you? No, I have been a writer in Nashville for a handful of years, just writing songs for other people and that’s all I thought I would ever do. It’s kind of interesting to think about what it would be like if I never tried to write an album – and I still get songs recorded by other artists. It’s still a big part of my career and something I really enjoy, but I think I just wanted a little more control over what people heard. That is the hardest part for a writer – to keep writing stuff and not having any say on what goes out there. So I followed that and started making my own album and Sony jumped in half way through the process and I have gotten to tour all year on these four little songs (from his debut EP) which has been wild and cool and I am really excited about it. Following on from that, you mentioned that you are still writing for other artists. Will you now be a bit more selective about the songs you keep and which you give out, or is it more a case of what songs suit your album and if a song is a good fit for another artist? Yeah, I am starting to get in trouble with my label, haha! They are starting to say ‘Hey man, you gotta cool it a little bit’, so now we hold everything until our album is done with songs that I write for me – and anything that I have already said I don’t want, and everyone agrees, can go out to pitch. For me, now everything is focused on finishing my album. After that, we will kind of see where everything goes, but I love writing songs for other people. That is kind of how I identify honestly as a writer, so part of that is you get so much credibility and that’s how you exploit copyrights – by getting them on albums and on radio, so I still really love that part of what I do. Do you know when we can expect an album, because you tweeted that it depends on Country radio? Yeah, just because radio is our biggest marketer in the States and the way that we put out albums is basically running a song up the charts and letting that single support the release of everything else. So it’s a blessing and it’s a curse. It’s harder to put things out quickly but it is also a case of once you have that single you are sort of solid for a long time with those people. The Country radio in the States sort of buys into the artist just as much as it buys into the song, so it’s kind of cool to have that support when you get it. It might take a little longer to get something out there, but really everyone’s goal is to have a song successful enough on the radio to get the rest of their music out. It’s really weird because I think fans discover artists and they love hits through the radio and that, but we have cultivated a fan base now and a lot of people are excited about the next music that we put out. It is just different in Nashville than other places, where you can just sort of roll things out. I would love to roll out a song a month for the rest of my life; I think it would be really fun – but for us it’s a little different than it is in other genres and other places. We are definitely into all the album tracks here, not just the singles. Oh yeah, and that’s very cool. So you are supporting your lovely fiancée Maren – congratulations by the way on the engagement. How have Maren’s audiences been, as there have been many of your fans there, too? I think it’s been really cool. Having anyone know your songs is crazy in a place you have never visited and having a fan base over here is cool. I think we have already made the investment to come back over again next year a couple of times. It’s cool opening for Maren, because not only do people know our story and they recognise me from her life, but also I think the show itself is so rounded. Our sets fit together, our music is really complementary, so I think it is almost like an added value in the show, because people can sort of see this story happening in my set and in hers and I really love that. I have loved being on this tour all year, it’s a huge blessing to me. You have recently released your debut EP which is self titled –tell us a bit about that and how hard or easy it is to select four songs for an EP. It was hard but we also chose those intentionally. I think they are all very specific and they all sound a certain way on purpose. It was hard, but you kind of know the ones that speak to you the most and that they are the ones that people are going to hear from you first; that’s kind of awesome. You just released a very lovely video for Love In A Bar. Have you and Maren always wanted to shoot a video together and what it was like to shoot the video? It is so lovely; as a couple, did all the scenes just come naturally? That is a good question because I think, for some reason, she has always wanted to do video stuff with me. I remember she asked if I could be in the 80’s Mercedes video, but I was booked that day, so there was just no way for me to get to L.A the day she was doing it. She has asked a couple of other times for stuff like that. It was her idea to do the video and to be in it – we didn’t have to act or anything but the hardest part for us was the editing part of it. Everything looked like we imagined it would, and we didn’t have to act as we were literally hanging out at the lake and doing our thing that we always do. So it was really natural and fun and relaxed – and I think it comes across, too. We did it with all of our friends too, our photographer who shoots us all the time, our managers and our people – so it was really relaxed and comfortable. It was basically a vacation day. Tell me about Lonely Tonight and how it got cut by Blake and Ashley – was it written as a duet and did you ever have plans to record it yourself? I wrote that with Brent Anderson. It was not a duet, but it had a weird echo part and then in the studio when we were doing the demo, one of us had the idea saying it was too weird and that we should change it to a call and response with a girl. That was a really cool process and Sarah Hayes actually sings the demo. She is an incredible writer and artist in her own right but she sang the demo for us and we just got really lucky that Warner Brothers loved the song and that Blake agreed to do it. That was like my first big hit, you know. I’d had singles on the radio but none of them had rung the bell yet and that one was just a really special time for me, a special song. How did it feel to have it nominated for a Grammy and a CMA? Yeah, that was pretty cool. That was before I had aspirations to do any of this. It’s weird to say aspirations, because it is something we take really seriously, but I just want to keep writing songs and see where they land, make a cool record and see what we get to do. If we get to come back over here and play some shows, then that’s great. Well, you will always be very welcome! Silly question, as I have been doing a twitter stalk – Who is Bing Bong? Bing Bong haha! It’s from that movie (looks it up on his phone) Pixar’s Inside Out. It’s really sad as he dies (shows me a picture). Yeah, the imaginary friend. Why did Bing Bong have to die? It was very sad; he was the greatest character in that, just a big happy whatever he was. That’s an incredible movie, haha! You obviously follow me on twitter and see that I don’t take it very seriously. I mean I probably should and the label would probably wish I was more self-promoting and stuff, but I don’t know. You know what? It is refreshing. Good, but I put up cool photos. It is so refreshing – and we know it’s you, rather than being someone on your team, and I really enjoy that. You tweet a lot about toast? Toast, haha! So when I was in college there was this coffee shop right by the University called Bongo Java and they have what’s called the basic breakfast which was Hash Browns, Eggs, toast and coffee and it was $5.50 every day. But the toast would come out and it was warm bread and I would say “This is not toast”. I had eaten this same thing for years and years and I had just given up on them being able to make actual toast. We were moving into our new house this year and I woke up one morning and I was like “I wanna make breakfast” but I realised that I was a grown adult man who, somehow, in the process of moving a couple of times, no longer owns a toaster. So I started talking about my lack of toaster on the internet and went and bought like a really ridiculously expensive one as a joke – and people started bringing me like bread to meet and greets and stuff. It’s kind of weird, ha! I don’t know, it was just one of those things when I was bored one morning and was like “This is a problem I am having, I need a toaster and I don’t have one” so I talked about it and I think people enjoyed it, haha! And they are the most annoying things to clean. Last question. You like to collect tour t-shirts, what is the last one you bought? Oh yeah, Kendrick Lamar. I bought Maren a Control T shirt, a Scissor t shirt. I got a lot of Tim McGraw and Faith Hill stuff from Soul II Soul, Whiskey Jam Merch. Merch is weird; I never like doing my own merch. We just did a whole cycle of it this year and the beginning of the year was just me figuring out what I liked and the end of the year it sold well. I like the ‘Ryan is my homeboy’ shirts, those are awesome. Merch is hard because you want to make stuff that people like but you also wanna brand yourself in the right way and sometimes those two things are difficult to match up. But it is fun to see all the designs that come across; you say no a hundred times before you say yes. Well, thank you so much for talking to me today.